van de African Brothers Band maar ook voor die van vele anderen. couple of medleys that will surely please you. 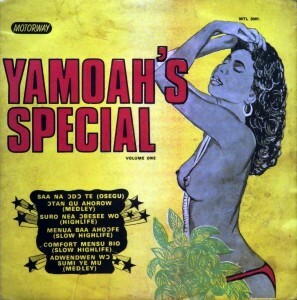 Listen to volume one of Yamoah’s special..
Do you have by any chance Bopol’s Serrez Ceinture? Unfortunately, I lost mine. I think I do, will get back on it..
..what a nice coincidence Kwabena, I must admitt I didn’t realise.. Thank you very much for posting this (and the rest of the stuff), it’s incredibly good. Sweet sounds of goodness. Thanks. Turns out I have had this for a while, but your version has better sound. I really do wish some enterprising record executive would assembly the best sounding versions of so much fantastic highlife and other great music from diverse cultures on the continent, but I suppose that’s asking for far too much, isn’t it? Thanks, Moos, for helping out ever so much in keeping this music alive. Quite the collection, Bill. Thanks for pointing it out. Thx Bill for the link !